The fixed base nailer installs most types of Solid or Engineered hardwood floors: Domestic and Exotic species. Its compact all-around striking surface enables the closest reach to the end walls of the flooring site. It is powerful yet smooth to handle and it is misfire free. Its wood friendly composite base reduces the risk of scratching factory-finished flooring. The PRO flooring tools are designed to maximize the user’s comfort. They are light and compact to reduce strain on wrist and back. They allow flexibility and a natural standing posture. They require minimal effort and allow for better concentration. 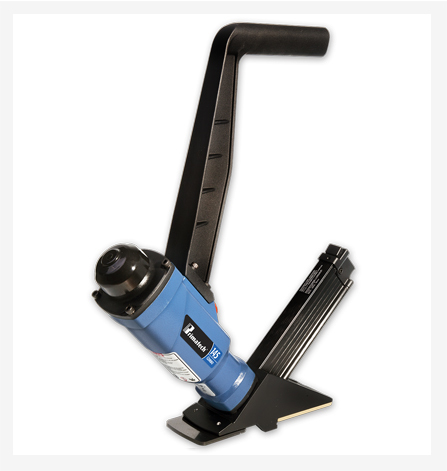 Primatech 245 pneumatic fixed base nailer installs all types of 1/2’’ to 33/32’’ (13 to 26mm) hardwood flooring. 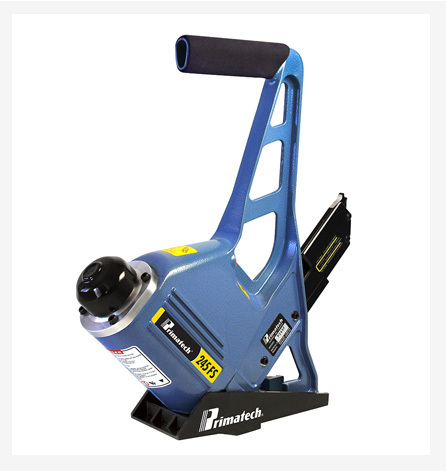 Its heavy duty cast aluminum body and comfort grip combine ruggedness and easy handling. It is powerful yet smooth to handle, with no recoil effect. Its low centre of gravity and perfect balance provide stability. The only flooring tool with a compact all-around striking surface, which enables the closest reach to the end walls and is misfire free. Its wood friendly composite standard base offers excellent protection to prefinished flooring boards. 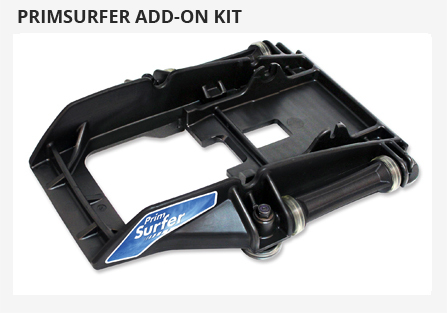 The standard base is interchangeable with the optional Trak Edge high impact base for even superior glide and stability. 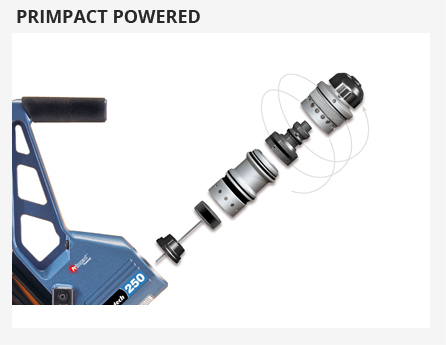 The tool has a large head cap, a high speed discharge valve activated from any angle and a striking system that regulates the depth of penetration independently from the mallet impact. A light mallet impact will set nail perfectly. High speed action and minimal moving parts result in a powerful yet soft stroke, a shorter air saving cycle and increased precision. 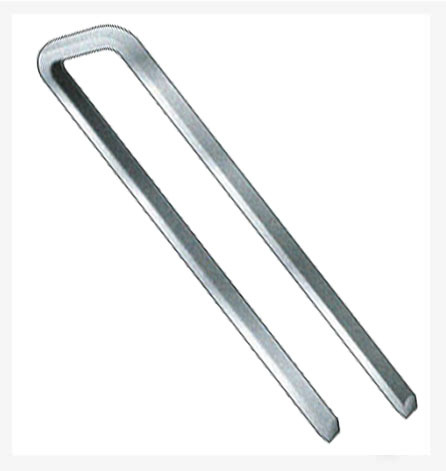 It operates at a pressure of 80 psi (5,5 bar). A cast iron, 2.8lbs (1,3kg) 16’’ (400mm) mallet is supplied with the 245. Factory assembled with the standard base for ¾’’ (19mm) boards with a 110 nail capacity, it can install ½’’ to 33/32’’ (13 to 26mm) hardwood flooring with P188 optional base. Available accessories include the A001 Trak Edge and the PrimSurfer A870 roller base. 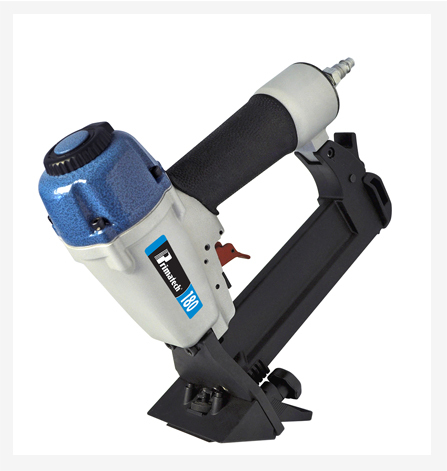 Stapler or T nailer configuration also available. The 245 is configurable into a Roller base version with the A870 user installed PrimSurfer accessory, ordered separately. The PrimSurfer A870 roller base increases the time / volume ratio of installed surface, thus providing more productivity and more benefits. Its two way Side Shift lets the installer work faster with less fatigue.